Today's post is not about any recipe. Instead, I am posting a coverage about winter in Canada. 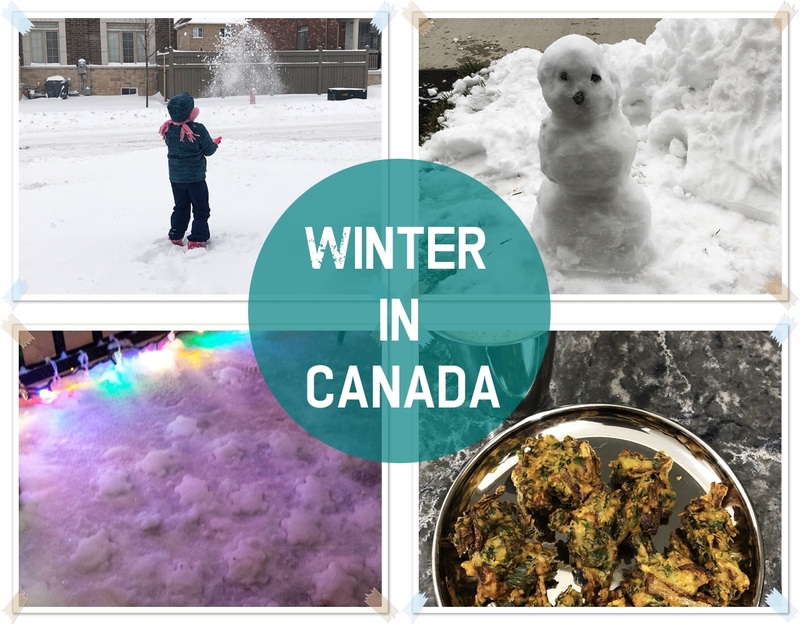 In this video, you will see how life is in Canada during winter season. 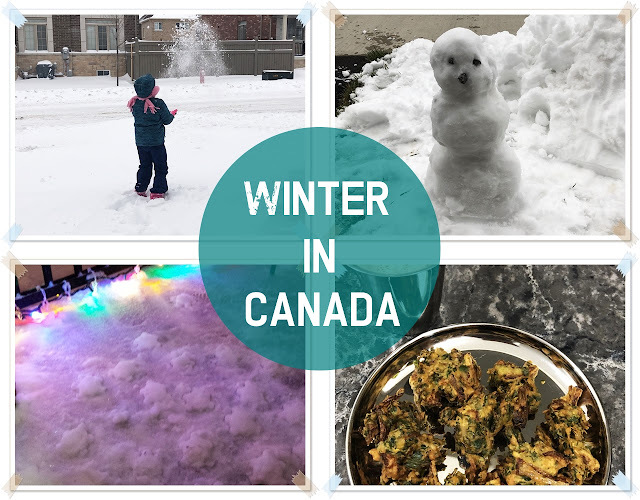 This topic covers about snow fall in Canada, snow cleaning, snowy day, winter storm, snacks during winter, before and after the winter. Spinach pakoda and hot tea!